Curious Gorge is a Columbia River Gorge outdoors guidebook like no other. 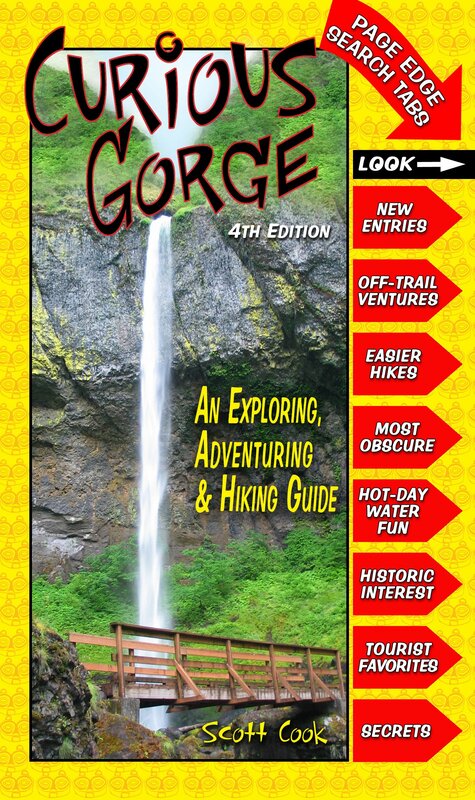 Curious Gorge features all the popular (and oft-crowded) hiking trails, but unlike other Gorge guidebooks Curious Gorge also highlights "local-secret" trails, hidden waterfalls, swimming holes, off-trail hiking adventures, historic explorations, and much more. Visitor guide magazines are for the tourists....Curious Gorge is for people who REALLY want to explore and discover the Columbia Gorge. 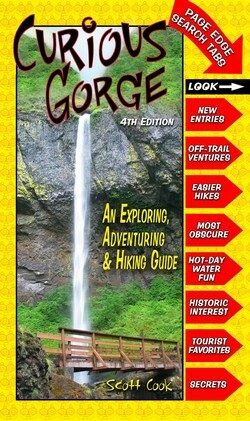 For 15 years Curious Gorge has been the go-to guidebook for people who know and love the Gorge. But now this 4th edition, with 67 new entries, raises the bar considerably. No other Gorge book compares...just ask anyone who loves the Gorge.